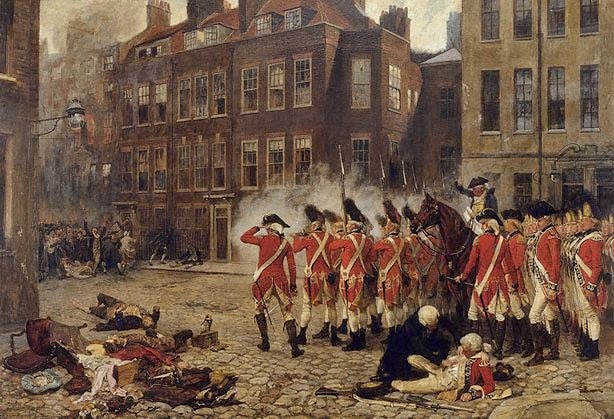 The Gordon Riots of 1780 were an anti-Catholic protest fuelled by the Papists Act of 1778. Lord George Gordon, the President of The Protestant Association, gathered a mob following, and spread fears of Catholicism. The British were in the midst of the American War of Independence, and the riots came at a time when Britain was gripped by fears of a French invasion, as well as troubles with the Spanish and Dutch. In a climate of fear, religious bigotry quickly spread and incited violence. Many London residents, including Catherine Stapleton (a close friend to William Pitt's mother, the Dowager Countess of Chatham), and William Pitt (then a barrister at Lincolns Inn), responded to the crisis. In the end, the rioters were put down, and hundreds of arrests were made. Pitt did not have to take up his musket after all. Nevertheless, the aftermath of the riots, and the effect it had on the public imagination, lasted for many years to come. 1. Catherine Stapleton to Hester, the Dowager Countess of Chatham, June 21, 1780. The National Archives, PRO 30/8/58, Part 3, f. 296. 2. Mrs. Boscawen to Hester, the Dowager Countess of Chatham (undated, but 1781). The National Archives, PRO 30/8/21, Part 2, f. 158. 'The Gordon Riots' by John Seymour Lucas. The source of the image can be found here.